To feel good with infants and children! Traveling with babies, infants and children can be exhausting. 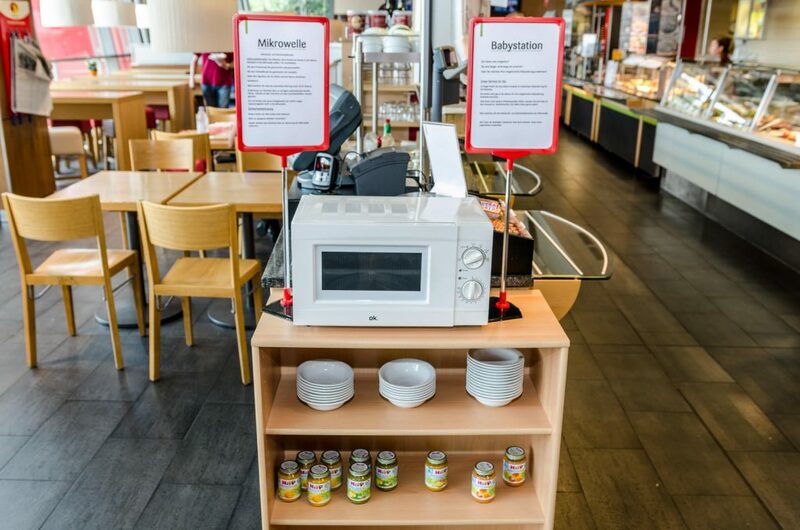 But at Ferdinand-Rest-houses we try to make it as easy as possible for your we offer babyfood by “HIPP” for free as well as several microwaves to heat up the babyfood. Our very clean and private changing-rooms for babies offer enough privacy to take care of your children and babies. You can see: your babies, infants and children are very welcome to our sites as well.